Dry skin is a common skin disorder that affects many women. Dry skin can result from various factors such as poor diet, environmental pollution, exposure to sun light, aging skin, lack of skin-care, etc. Dry skin makes complexion look rough and patchy. Women with dry skin often complain that their face lacks glow and radiance. Extreme dry skin can lead to serious skin disorders such as eczema, freckles, itchiness etc. Dry skin can also make your face appear flaky. 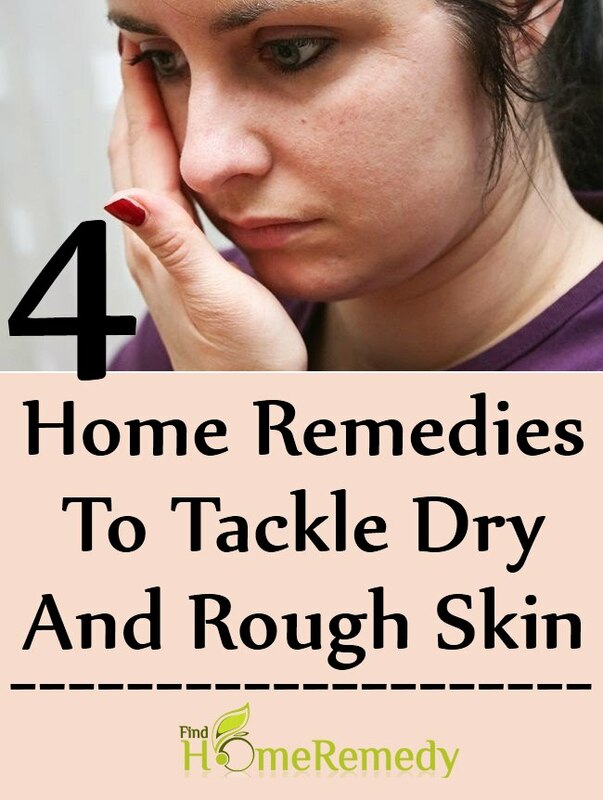 There are several home remedies to treat dry skin. Using naturally available ingredients you can effectively combat dry skin. These natural ingredients will nourish your skin in more ways than one and make your skin appear radiant and beautiful. This article is a detailed guide to the most effective home remedies to treat dry skin. This article details some simple lifestyle changes too that can help get rid of dry skin. Dry skin needs great protective care to restore lost moisture and essential oils. Cleansing is an important step of a skincare routine. However, you need to cleanse your face gently so that the skin does not become drier. Avoid using very hot water for cleansing and bathing as hot water can strip the skin of essential oils. If you have dry skin you must avoid using facial cleansers with harsh chemicals. Use a mild cleanser with moisturizing and soothing natural ingredients such as milk cream or Aloe Vera extract. Using cold full-fat milk to clean your face is an effective home remedy that will get rid of impurities and will also nourish your skin. Full-fat milk has intense moisturizing properties and Vitamin D which is beneficial for dry skin. Use a cotton dip ball dipped in cool milk to thoroughly cleanse your face and neck. You can also add a few drops of essential oilssuch as lavender or avocado oil while bathing to prevent dry skin. Moisturizing dry skin is an important step in ensuring that dry skin looks glowing and radiant. It is best to avoid using cosmetics and moisturizers that are heavily scented. Harsh chemicals and fragrance found in such moisturizing creams can worsen dry skin. 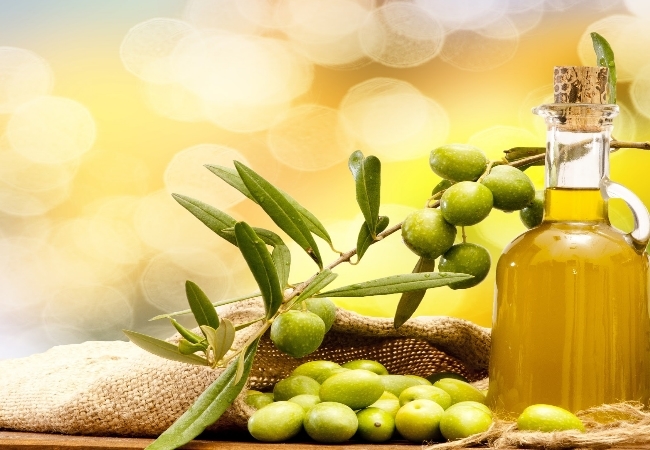 Olive oil is natural oil that is highly effective in treating dry skin. Gently massage olive oil all over face and neck using circular motions. Olive oil is rich in Omega-3 fatty acids and Omega-6 fatty acids. These essential fats help nourish dry skin and make it smooth and supple. You can also use other natural oils such as sesame seed oil, coconut oil or almond oil to moisturize dry skin. These oils contain healthy fats that restore lost moisturize for dry skin and making it healthy and soft. These natural oils also help soothe irritation and itchiness caused by dry skin. Massage your face and body just after or before bath to lock the moisture absorbed during bath. Gently warming these natural oils before use will stimulate blood circulation and make skin healthy and glowing. Milk cream is an excellent natural moisturizing agent for dry skin. Massage fresh cream on your face and neck for radiant looking skin. Milk cream is full of Vitamin D and healthy fats that repair collagen tissue and make skin smooth and supple. Milk cream can be mixed with turmeric powder to make skin smoother and lighter in tone. Turmeric powder is effective in healing skin irritation and itchiness associated with dry skin. Dry skin needs nourishment from within for it to heal and look healthy. Since dry skin lacks moisture you must ensure that you keep yourself well-hydrated. Drinking at least 10-12 glasses of water daily will ensure that your skin looks supple and maintains its elasticity. This tip will almost certainly ensure that your skin looks healthy and radiant. To reverse dry skin you also need to consume a diet rich in healthy fats such as omega-3 fatty acids. These essential fats will nourish your skin and make it look shiny. Nuts such as walnuts and almonds are a great source of omega-3 fatty acids. Oily fish such as salmon, mackerel, etc. too can provide you with essential fatty acids which are greatly beneficial for dry skin. Eating a diet rich in essential oils can reverse aging and can keep wrinkles and fine lines at bay. Eating salads and raw veggies is an effective way to counter dry skin. Raw veggies contain higher water content which can help keep the skin hydrated from within. 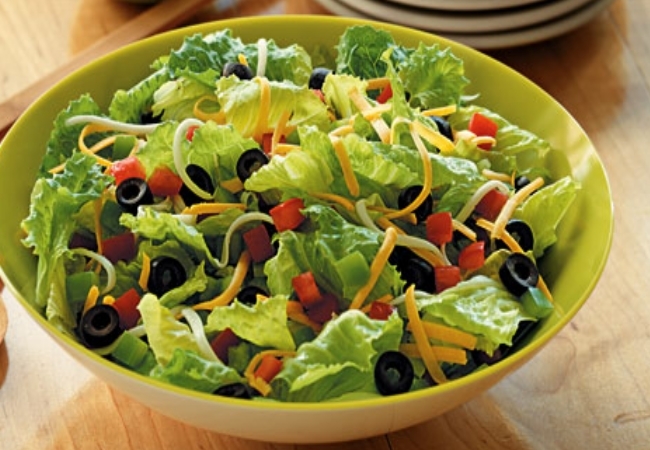 Salads are also richer in anti-oxidant content making your skin healthier. Moderate exercise 4-5 times a week can improve blood circulation making skin look more supple and healthy. Avoid consuming caffeine rich drinks such as carbonated beverages and coffee. Caffeine is known to increase wrinkles and fine lines and aggravate dry skin. Opt for fresh natural juices or plain water instead. Dry skin needs intense hydrating and moisturizing to make it look healthy and counter problems such as itchiness, flaky skin, etc. 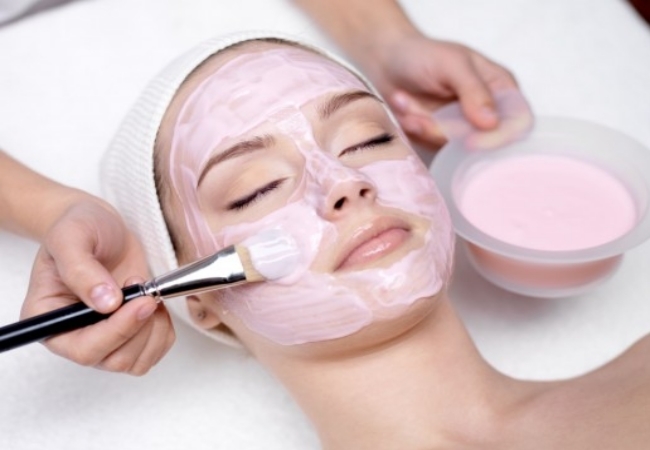 Face Packs made from natural ingredients can work wonders for dry skin if applied regularly. Honey is nature’s gift to treat dry skin. Honey has intense moisturizing properties that can effectively heal dry skin. Honey also has anti-inflammatory properties which can soothe skin irritation and itchiness. Honey also helps impart an even skin tone healing flaky and botchy skin. Apply slightly warm honey all over face and neck and leave it on for 10 minutes before washing with lukewarm water. Pay special attention to the area under eyes as dry skin can cause wrinkles under the eye. Apply a thick coat of warm honey under the eyes too. Avocado is the most effective natural ingredient that can treat dry skin. Avocado is a rich source of omega-3 fatty acids which is a potent weapon against dry skin. Ripe and mashed avocado is a quick and effective face mask for dry skin. Fresh Aloe Vera extract is rich in alpha-hydroxy acids that can heal dry skin and treat wrinkles effectively. Apply pure Aloe Vera extract on your face immediately after a shower to combat dry skin.